Aggressive Argentinian Leonardo Mayer is the next hurdle for Rafa Nadal as he seeks glory at the ongoing U.S. Open. The 59th-ranked Mayer is 0-3 against Nadal, losing most recently in the third round of his 2014 title run at Roland Garros. 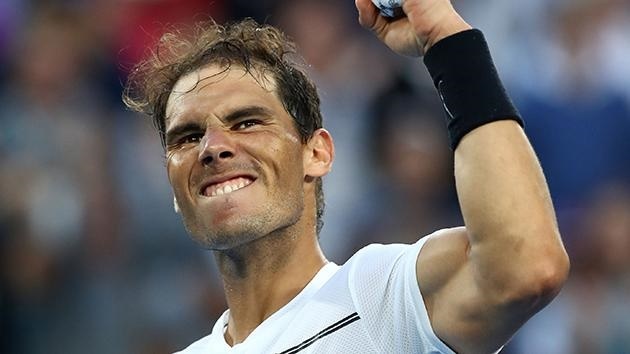 Nadal cruised into the third round despite having a slow start in his last outing against Taro Daniel of Japan; wining 4-6 6-3 6-2 6-2 in front of a sold-out crowd at the U.S. Open on Thursday. The 121st ranked Daniel looked like he was going to deliver a massive upset when he beat the Spaniard in the first set. But Nadal soon found the accuracy that had eluded him in the first set and his booming serve proved too much for the exhausted 24-year-old, who is now 0-6 against top 20 opponents in his career. Nadal is now one step closer to a potential semi-finals match against third seed Roger Federer, who won his second consecutive five-set match also on Thursday. "I am here to improve every day. I believe I can do it much better and I really feel I am going to do it much better," Nadal said.